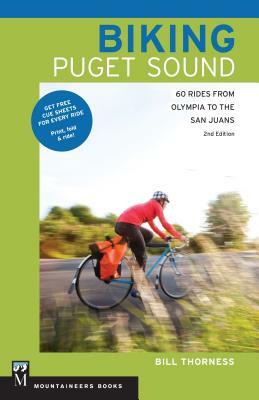 Nothing beats riding a bike on a sunny day, and this popular cycling guidebook has been lovingly updated with more fun than ever. As with the first edition, author Bill Thorness includes interesting sights, delicious break stops, and other novelties along the routes to make your outings more than just a sum of the miles ridden. Says Thorness, "I've filled a lot of holes in regional cycling info, due to the expansion of the cycling trail network and addition of new bike facilities since the first edition. I'm excited about the result." Thorness reviewed and rechecked all of the rides from the first edition. Also in this edition are new "Route Connections" that help riders link up multiple routes to give themselves a longer one-day ride or even create multiday tours.